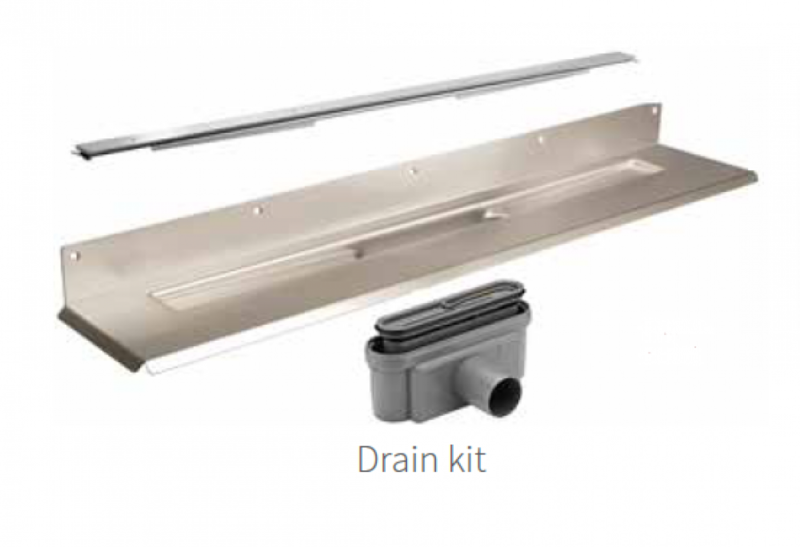 Wet room drains are essential to the performance and efficient functionality of any wet room or shower enclosure. This unique system has become one of the bathroom industry’s preferred floor drain systems for wet rooms. With their ongoing development, research and dedication to both building technology and design, Unidrain's ambition is to make the old floor drain system completely obsolete, while allowing people to create a dream bathroom according to their own tastes and requirements. The foundations of this product are brass, which offers unrivalled quality and durability, making it a must-have for your bathroom. This product is modern in style and will bring your bathroom into the 21st century. Luxurious and aesthetically pleasing, chrome fixtures offer a great finish with the additional benefit of scratch-resistance and being very easy to maintain. Chrome is currently one of the most popular finishes that is easy to match with accessories and other fixtures. The polished finish is durable, very easy to clean and maintain. Designer Claus Dyre encountered the same problem again and again in his years working renovating bathrooms: cutting a beautiful tile floor to make room for the floor drain. Hours of planning, dreaming and scheming goes into picking the perfect tiles for a luxury bathroom. He would find the perfect tiles for each project only to have to deface a beautiful piece of tile in order to fit the drain. It just felt wrong. Enough is enough. Working in collaboration with the Danish Building Research Institute, Claus designed the Unidrain. The idea behind Unidrain® is simple, but beautiful. By moving the floor drain against the wall in a waterproof connection – there is no need to cut tiles in order to fit the drain.